Here’s an interesting question: where are Homeworld’s characters? 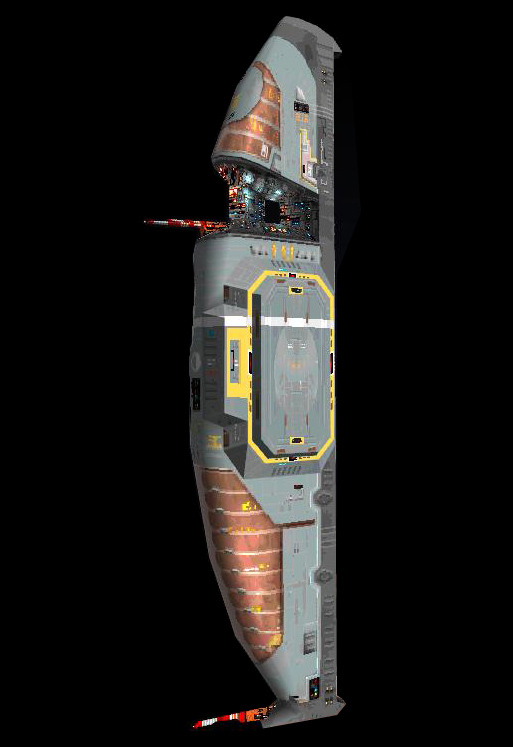 The characters of Homeworld are limited in number and not particularly talkative. 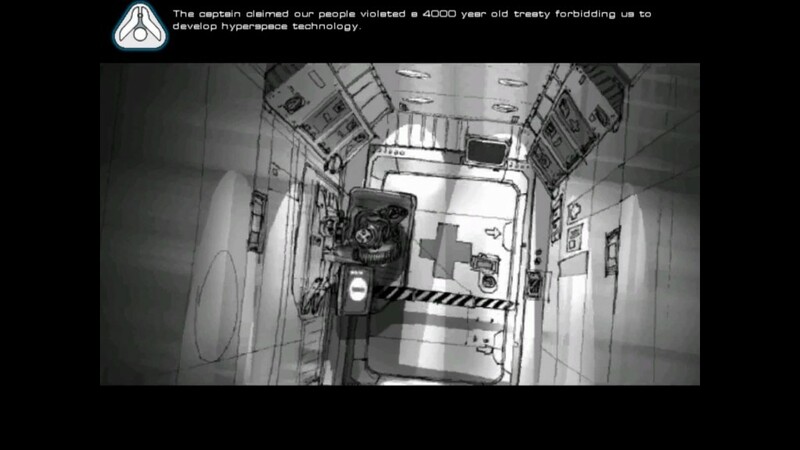 Some similar games manage to pull off a great deal of characterization with body language and visual cues instead of long dialogue trees; Homeworld is not one of them. In fact, the story barely contains any people at all. There are no faces anywhere in the game, and the human form is represented only twice in the silhouette of Karan S’jet in the beginning and ending cutscreens. How can the burning of Kharak (or any of the plot developments) have emotional weight if Homeworld has no people? 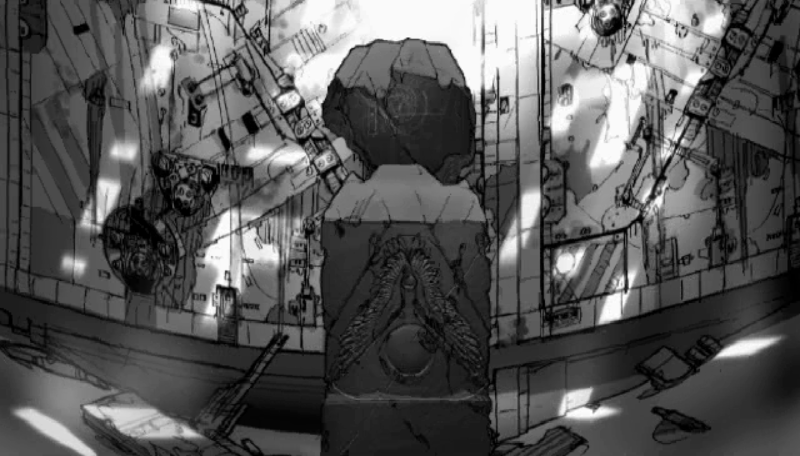 The answer is in the art assets that received the most time and attention from Relic’s staff: the ships. The ships are the characters. It’s obvious from the point that Karan S’jet, neuroscientist, is implanted into the heart of the Mothership to serve as its living core. She is the Mothership, literally. The Bentusi are one with their vessels too (and the Bentusi Exchange even looks like a face, if you squint a little). 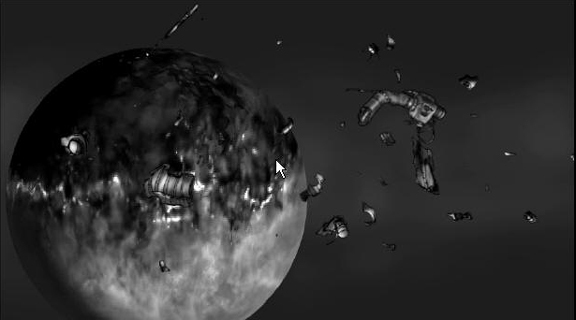 The Taiidan Emperor’s flagship serves as his body; when it is destroyed, he is destroyed. The Kadeshi, with their strange needle motherships; Captain Elson, with his slick all-black elite guard destroyer; the junkyard dog, with its brutal industrial jaws; the silent monolith of the mind-control ship . 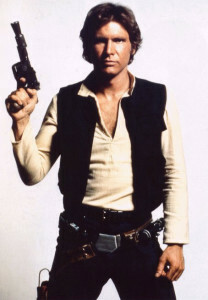 . . they’re all characters, even if their bodies are made of space-age ceramic alloys and powered by fusion reactors. And like any good character, you can tell exactly who they are as soon as they step onto the screen. 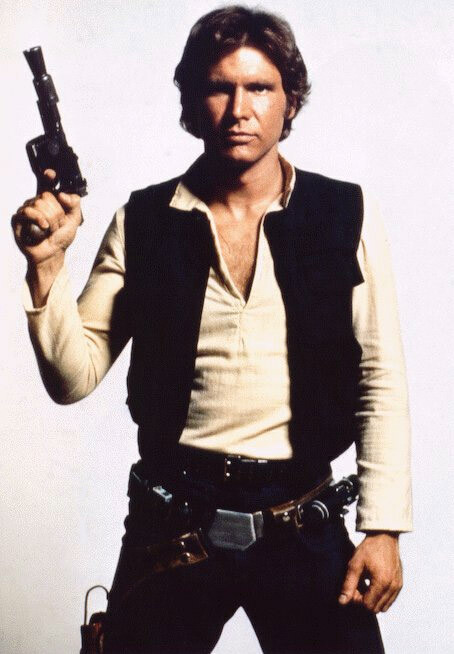 One glance and it’s pretty obvious what Han Solo is all about. Let’s take a closer look at how some of these characters are established. The Mothership is about nuturing, in design and in function. 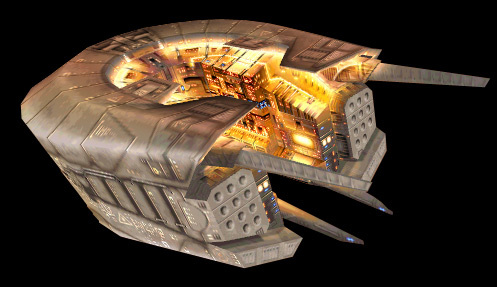 Huge docking bays store hundreds of smaller vessels, carrying them from point to point via hyperspace jumps. Other ships are “birthed” out of her side–hey, it’s not called a Mothership for nothing, is it? The Mothership is all curves and gentle angles. It isn’t a confrontational vessel. 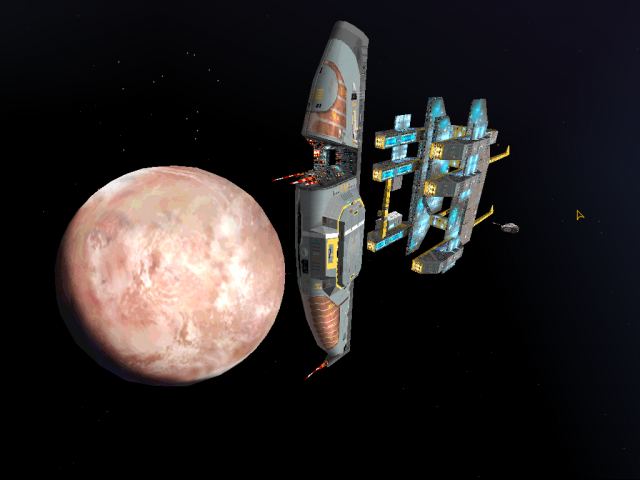 While it is the most important ship in the game and can take quite a beating, it is practically unarmed. None of these design decisions are without purpose. Karan S’jet is no warrior; she is a strategist, yes, but she isn’t about to be on the front lines. The glory of combat belongs to others (Kiith Maanan or Soban, perhaps). What she is, though, is the caretaker of her people. She is the spiritual mother of the exiles–what better way to make this obvious than to unite her with the Mothership? 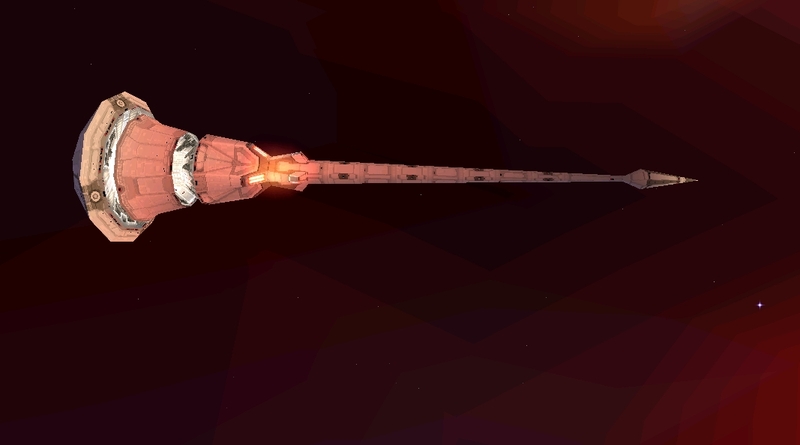 The Mothership also follows an age-old rule of fictional starship design: the longer a vessel is relative to its width, the faster it is. One glance at the Mothership’s considerable girth is enough to tell you that it won’t be going anywhere quickly (even with those massive fusion drives). Jutting. Angular. Aggressive. Alien. Spikey. All of these words describe the Emperor’s flagship. Thematically, he’s defined by being everything that Karan isn’t (this binary runs deep). If heroism is making sacrifices for the good of others, villainy is the thirst for personal power–and the Emperor is thirsty. While Karan gave up her body to serve her people, the Emperor gave up his out of continuing self-obsession. His flagship is designed to intimidate; it is a vehicle for ego. It’s only fitting that during the final confrontation, the Emperor’s flagship spews an endless stream of scout fighters that suicide into your vessels–a perversion of the protective, nuturing role that Karan has played through the entire game towards her own ships/people. 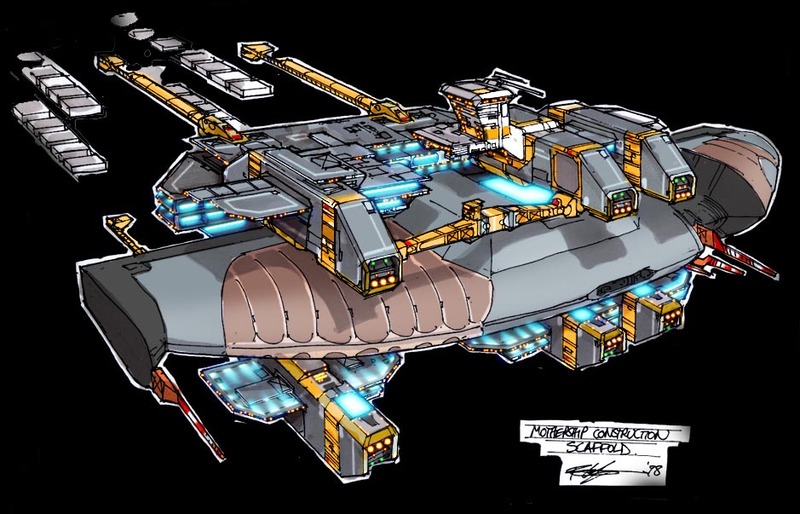 Maybe I’m reading too far into this, but the Exiles’ Mothership is also entirely vertical while the Imperial Flagship is completely horizontal–another indicator of how they define each other through opposition. The Kadeshi were originally part of the Hiigaran exile, but instead of making it to Kharak they hid inside of the Great Nebula. They remain afraid of discovery and retribution; the need to survive at all costs has become their religion. They are the lizard brain. None of this is immediately obvious from your first contact with the Kadeshi needle mothership. Characterization in this case is carried out through action, not through form . . . because what you can’t see here are the clouds of deadly swarmers that stream from the launch bays once your refuse their offer to stay in the nebula. The Kadeshi are unreasoning and extremely deadly. They are afraid, and that’s what makes them dangerous. You can see it in the way that their ships swarm together in intricate patterns before tearing your fleet to shreds. They attack recklessly, like cornered animals, and the way that their ships are designed leaves them no other choice (massive firepower, but little armor). Fanatic devotion to a cause, unity achieved through fear of judgement day postponed; it’s all there, written in design decisions and battle doctrine. It’s ironic, then, when their destruction comes from attacking their own kin, and not from the all-powerful Imperial enemy that they feared for so many generations. The needle mothership is not to be underestimated, either. There’s an important visual cue for the player in the massive, blunt bow of the vessel . . . it will not hesitate to plunge through your formation like a battering ram, smashing smaller ships to bits, if you give it the slightest opportunity (this happens to me every damn time, despite my best efforts). Enigmatic traders of the galaxy, the Bentusi were one of the first species to travel the stars. They have long since ceased to use physical bodies are instead fully integrated into their trade ships (sensing a theme here, anyone?). Their ships sparkle with rich, mysterious light, hinting at an incredible density of knowledge and power. It is hidden, though, wrapped up in a tough outer shell that obscures most of the view. Only when the Bentusi choose to trade is the inner power of their ship revealed; can the metaphor be any more obvious? They also violate the “long ships go faster” rule to great effect, as the fairly stout Bentusi trade ships are faster than anything else of comparable size. This violation sets them apart from the other space-faring races, since they can defy the conventions of the game itself. Characters don’t have to be people to be effective characters. Next week, Part 3: Minimalism to the Max . . .